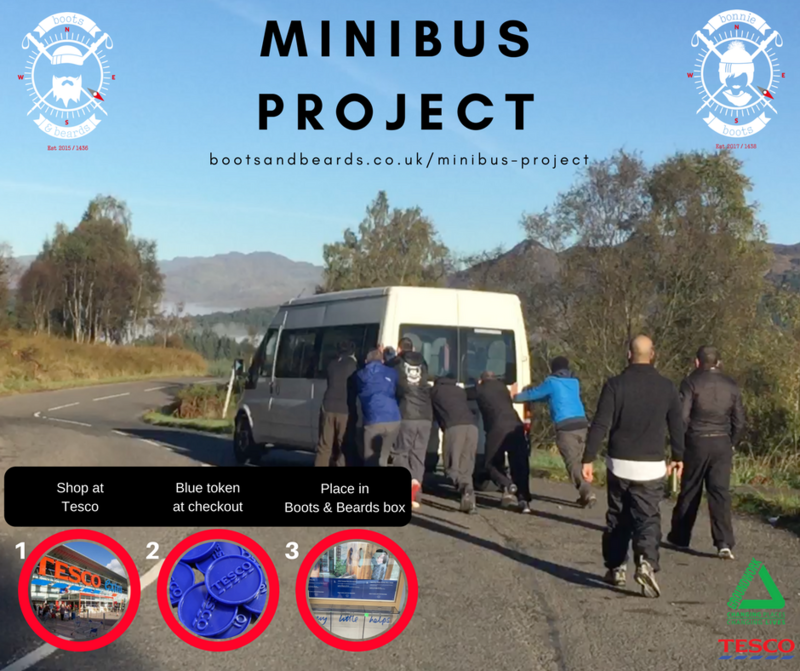 During November and December, when shopping at Tesco - be sure to vote for BOOTS AND BEARDS for our minibus project. You can also donate directly if you would like to support our appeal. Our core inspiration is to facilitate an accessible and inviting organisation that aims to reduce unnecessary pollution that can impact on our environment. Our idea of maximising our approach to delivering a successful outdoor event is to operate a Boots and Beards Minibus during our walks. This will further enhance our appeal to attract a healthy number of participants within the local community to our organisation and also extending further so that more people can seek an alternative and stress free community based event. Our minimalistic idea aims to reduce operational running costs by establishing a one-vehicle solution. This in turn will strengthen community participation and eliminate the need of unnecessary driving and fuel costs which can add further strain to those participants seeking a hassle- free day. We aim to optimise our efforts and to give something back to our members, so that succeeding people can gain a sense of satisfaction.